We offer landscaping , maintenance and design for residential, commercial and industrial clients. 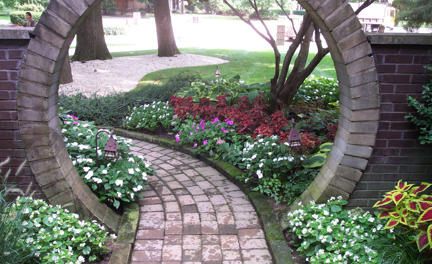 Our landscape yard is located on Cleveland's westside and we service the entire Greater Cleveland community. In the winter months we offer commercial snow removal and salting services. Our philosophy at Cactus Jack is to provide personal service and quality work that exceeds your expectations. We believe today's service industry is not what it once was. 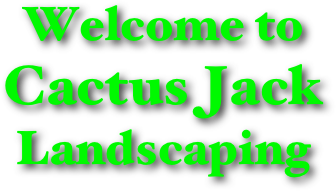 With Cactus Jack Landscaping, you can expect excellence. As a customer you can expect, and you will receive courteous, knowledgeable, prompt and efficient service. There's no high pressured sales. Instead, we take time to listen and work with you, to learn what you like and dislike, and then we offer ideas. We provide information on your options so you can make the best decision for your landscaping needs. It's your property and everyone's earth. We formulate a plan that will enhance your landscape and beautify the earth. We stand behind all our work and guarantee our plant material.